Kyle MacLachlan, that guy you've seen on TV a lot, but you can never remember his name, has confirmed that he'll be hitting the screen for the eagerly anticipated return of David Lynch's cult show Twin Peaks. MacLachlan revealed the news to the world yesterday while appearing on Showtime's panel at a Television Critics Association meeting. Speaking to TCA president David Nevins, MacLachlan said, "I think you need a damn good cup of coffee" (one of Agent Cooper's well-known catchphrases), before saying how he was "very excited to be returning to the wonderful world of Twin Peaks". Later, David Lynch tweeted a picture of MacLachlan, along with a "welcome back" message. Lynch and MacLachlan share a long history, MacLachlan having starred as the corrupted college student Jeffrey Beaumont in Lynch's wonderful film Blue Velvet. Since working on Twin Peaks, MacLachlan has also starred in Showgirls, Portlandia and Desperate Housewives. Here's a look at his best onscreen moments. SPECIAL AGENT COOPER IN TWIN PEAKS: "DAMN FINE COFFEE"
OK OK, let's start with a homage to Agent Cooper and his love of coffee that became a defining character trait. Curious college student Jeffrey Beaumont finds a severed ear covered in ants and thus begins the journey to find out who it belongs to, leading to his subsequent corruption and loss of innocence. The "coolest mayor Portland's ever had" doesn't bother with a chair at his desk, he has a huge space hopper-esque ball so he can "work on his core". Here, the resolutely uncool mayor reveals that he awards himself with trophies and gives Fred Armisen and Carrie Brownstein a strange piece of "indigenous art" to help them write Portland's new theme song. MacLachlan was said to be hugely embarrassed by splashy box office bomb Showgirls and his role as casino entertainment director Zack Carey. However, this scene is notable for MacLachlan's flawless derrière – at least that wouldn't get a bad review. PAUL ATREIDES IN DUNE: "MY NAME IS A KILLING WORD"
Sci-fi cult classic Dune is another Lynch-directed venture that MacLachlan had prominent involvement with. He played Paul Atreides, a military man with superhuman powers. Here he is demonstrating to the Fremen that his name can be used as a trigger to power a Weirding Module, a powerful sonic weapon. 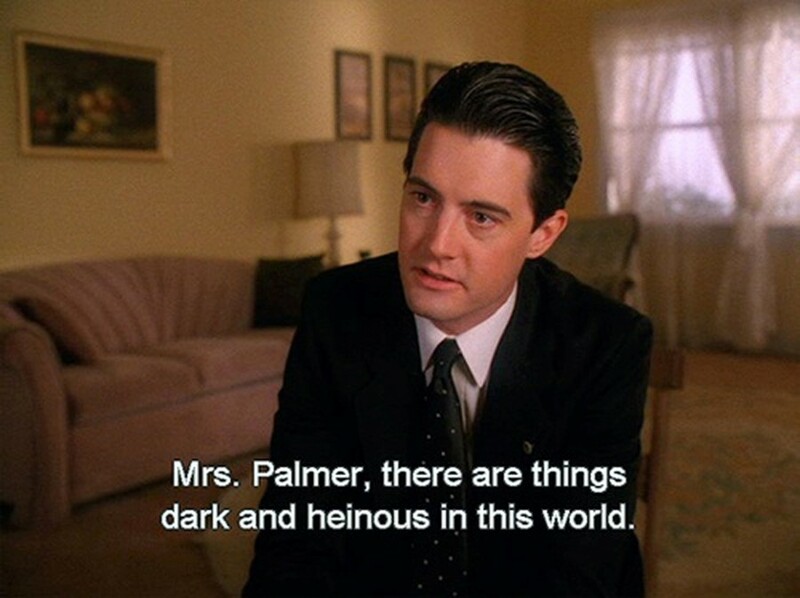 Head here to read everything about the new series of Twin Peaks.